There is a place indispensable for sightseeing in Kamakura. 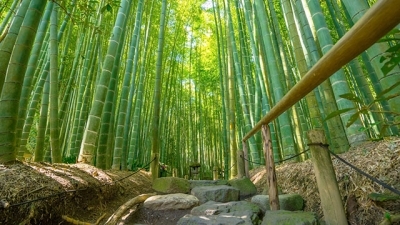 Bamboo is also one of the images of Japan. There is a bamboo forest, there is a temple. It is a temple called Jikokuji. The bamboo grove of the Republic Temple is beautiful and sighs out. Its beauty is "Michelin · Green Guide · Japan"
It is famous for taking three stars. 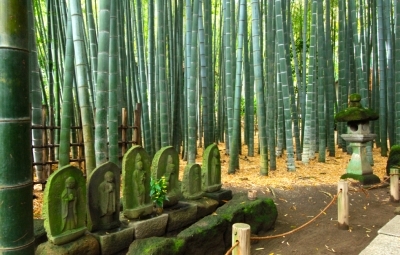 In the rebukuji temple where bamboo grove is famous as it is named "Takeji"
There is a place to drink and breathe a matcha while watching the beautiful bamboo grove. Besides bamboo grove, there is also a place where there is a beautiful garden of "Rakuzan waters" in the Republic Temple. 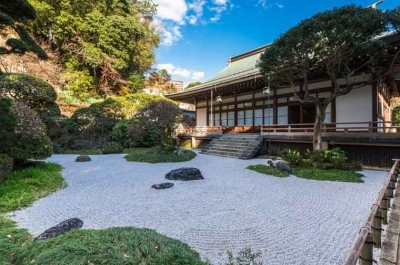 The beautiful garden of Japan's representative "Katsuyama" is also amazing. After watching, we can enjoy Kamakura sightseeing which we would like to go elsewhere. There is also a delicious buckwheat store hand-crafted as "Chiharuan". You can also take a rest by drinking Matcha. That way is better. There is a campground "Nagai Seaside Park Soleil Hill". You can enjoy it with your family and friends. If you enjoy Kamakura, I recommend you to go near the Treasury Temple first.